I am not sure whether Cloisonne would fit into Porcelain category (as the main material seems to be porcelain). 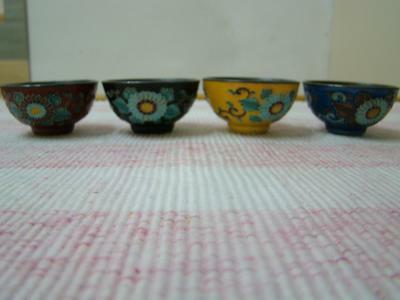 Please help identify these small Cloisonne cups with silver inside. Thanks. 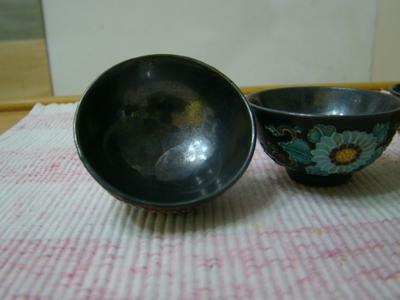 Looks like thickly enameled bowls to me. Anyway, this is nothing traditional. If it is Chinese it cannot be more than a few decades old.